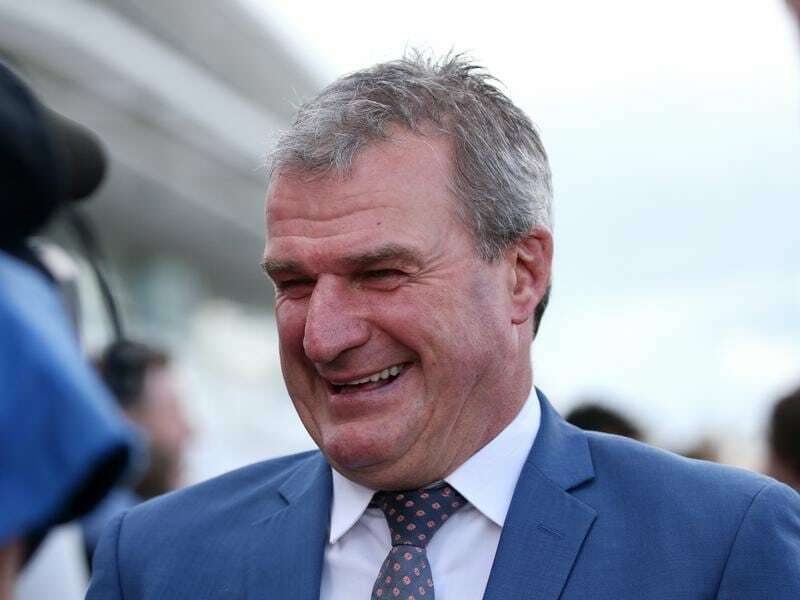 Three Japanese imports from the Darren Weir stable have galloped between races at the all-jumps meeting at Ballarat. Admire Robson, Cassius and Tosen Basil, all owned by a syndicate headed by Ozzie Kheir, have only been in Australia for three weeks and recently finished quarantine at Werribee. The trio headed straight to Warrnambool and into the care of Weir’s foreman Jarrod McLean last Saturday week. Weir decided to take them to Ballarat on Sunday to gallop on the course proper and said it was an important piece of work for all three. “We don’t know a lot about them,” Weir said. “We looked after them in quarantine at Werribee but we don’t know their traits at the races. “We’ve found out a little bit about them today and they got to experience a little bit of what goes on at our races. Weir said Admire Robson and Cassius were on their best behaviour while Tosen Basil needed to improve his race-day manners. “He’s was quite rowdy and boisterous, something that needs a bit of work on,” Weir said. A decision when the trio will begin their campaigns will be made after they compete in jump-outs at Warrnambool on Friday. Admire Robson and Tosen Basil are Caulfield Cup hopefuls while Cassius will be aimed at sprint races over the spring carnival. “Tosen Stardom will be on a path to the Caulfield Cup, but how we get there I’m not sure,” Weir said.